Not to beat a dead birthday horse, but something very fun transpired the day of my birthday that I didn't want to blog about until it was official. I got an email that day from my fellow Muffin Monday blogger Jasmine, at Cook That Book, asking me if I'd be interested in contributing to her website as a cookbook reviewer. Are you kidding me? Needless to say, I was thrilled. Life got a little busy around my birthday, for obvious reasons, but it was also partly because I was testing the heck out of Foodista's Best of Food Blogs Cookbook: 100 Great Recipes, Photographs, and Voices, for my first review. My introduction was posted yesterday on Cook That Book and my review went up today! Jasmine is a fabulous blogger, baker, cook and photographer and I'm so excited to be joining her for this adventure in cookbookery. Have a peek and let me know what you think? Did you find it helpful? What should I include more or less of next time? Tell me: I can take it! For now, I'll leave you with some photos from just one of the three recipes I tested in Foodista's cookbook. 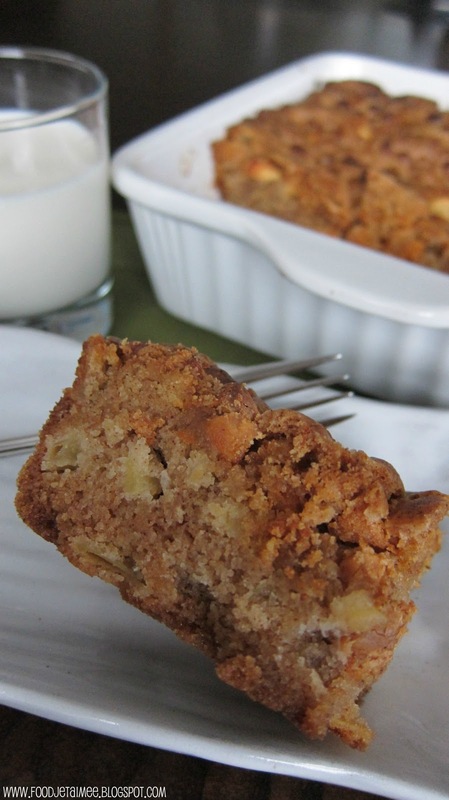 Submitted by The Runaway Spoon, these Apple Pie Bars are a fast, easy and delicious way to ease into fall and make use of those ripe apples! You can find her recipe and original blog post here. My Review of Foodista's Best of Food Blogs Cookbook: 100 Great Recipes, Photographs, and Voices, along with 2 other tested recipes. Purchase the Best of Food Blogs Cookbook: 100 Great Recipes, Photographs, and Voices from Cook That Book's Amazon Store for only $14.99 (Page 4). It's a great way to support your food blogging community! wow! Aimee that's so cool! way to go! Happy belated birthday Aimee and what a wonderful job to cook and then review! I will go and read it now. Happy Birthday, what a lovely present to receive from Jasmine! Congratulations and best wishes with this new role. So happy for the news! Awesome news! Congratulations :) Those bars look super moist and yum!